Ralph Breaks the Internet 7.3 out of10 (worst is 0)based on43,720 ratings. 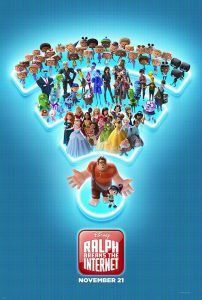 Plot: Six years after the events of “Wreck-It Ralph,” Ralph and Vanellope, now friends, discover a wi-fi router in their arcade, leading them into a new adventure. User Rating: 7.3/10 based on 43,720 votes.